I won’t dwell too long on the lead single Magnet in Your Face, we have already covered that ground, except to say that it makes for the perfect opening salvo to this record. Yes, I’m old, I still call them records. Perfect in that it introduces you to a band whose sound ricochets between the pent up aggression of the metal world, trippy experimentations, brooding atmospherics and the byzantine complexities of progressive rock. Yet throughout all of it’s twists and turns as a mission statement if only tells part of the story and what follows is nothing short of mesmerising. It doesn’t even begin to hint at the violent undertones of Palm Trees, a song that begins in jaunty hypnotic spirals of music and ends in what sounds like the inner soundtrack of a raging serial killers mind. It doesn’t prepare you for the cinematic Part 6, which starts life as a score to images of deep space, colliding worlds and dying suns and resolves itself as a late night chill out track from the house band at the Mos Eisley Cantina. Spooky Action pushes their eclectic ways to the limit, jumping from a heavy gothic introduction through bright interludes, slowly building into ever denser textures and a raw and visceral crescendo. 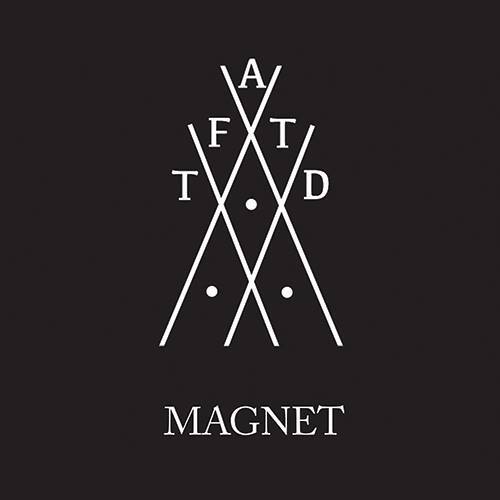 One of the things that TFATD prove is that as important as great lyrics can be, when you get the music right that can also speak to you in the same way. Not through direct communication but through non-verbal avenues, emotion and musical colours, through a sort of acoustic body language and at times almost a feeling of your personal space being invaded and at it’s most extreme Magnet does feel like an unwanted presence that almost makes you recoil. It is heavy but understands that density and strength comes from proper construction rather than just bulk. It is dark and brooding but without resorting to the schlock-shock of the current gothic scene or the easy root of melancholic machinations. Above all it is intelligent and conceptual but without the trappings that have often made progressive rock an easy target of ridicule. Whichever way you look at it and whichever part of the rock spectrum you prefer to stand in, The Fierce and The Dead is a band who are embracing the post-genre possibilities of the modern music paradigm and more than delivering the goods.